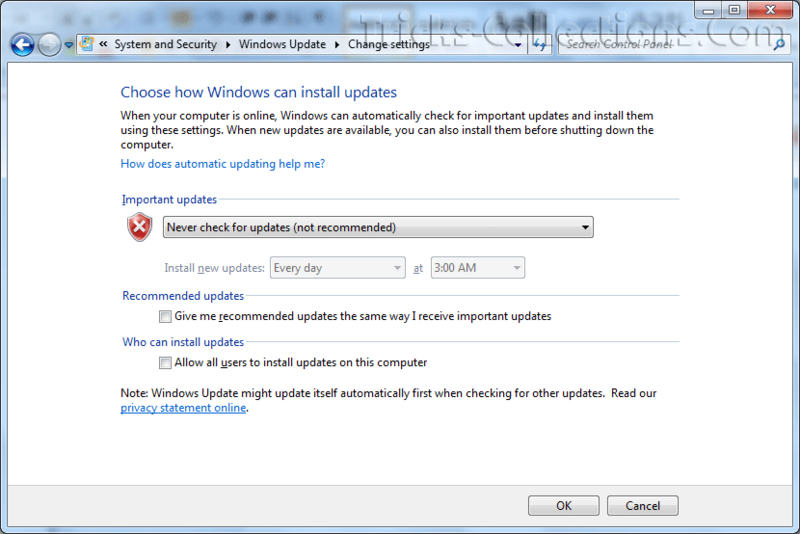 There are several reasons why some users do not like “Automatic Windows Update“, for example: the computer not connect o internet, the update process consumes some internet bandwidth and other. 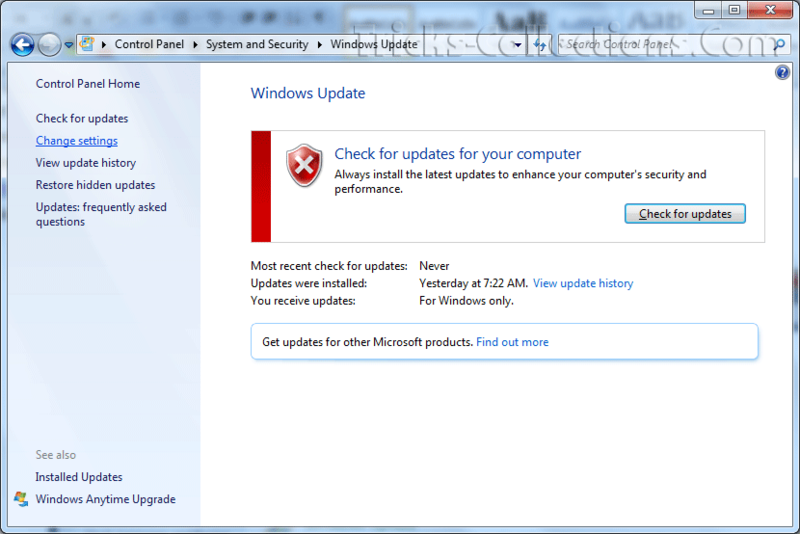 Windows update is recommended by Microsoft because by updating windows it will patch windows bug and increase windows security and stability. 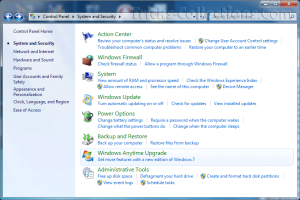 Usually on windows XP or previous version I disable automatic update from service in “Administrative tools” but on Windows 7 there no automatic update in the service. 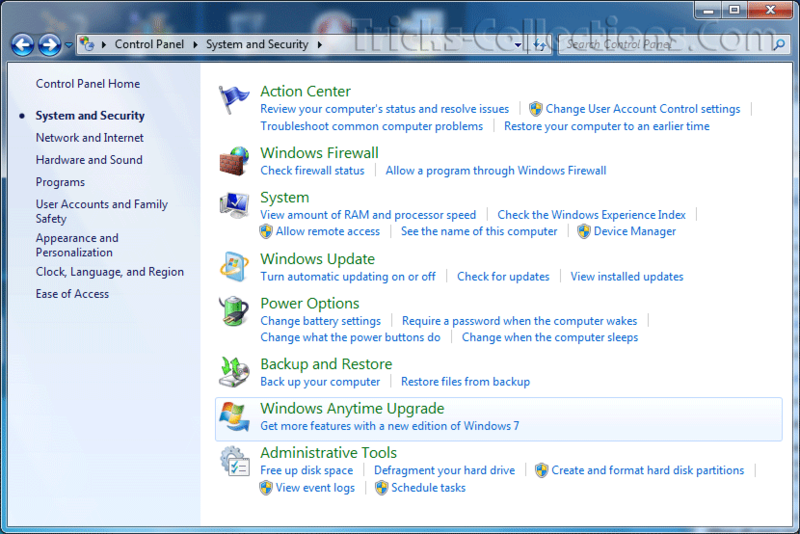 On windows 7 you can disable automatic update from “Windows Update” section in “System and Security”. 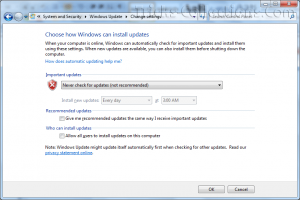 Note: Activate automatic update is recommended to improve your windows security reliability. But if you do not like with automatic update feature you can disable it and install the update offline. 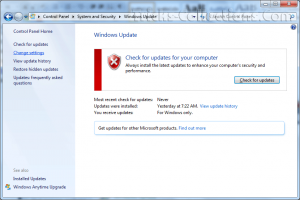 You can download the windows update from Microsoft service.